What happens when life’s reality differs from our expectations---and prayers? Did God ignore our heart-felt petitions? Or was His answer just different from our expectations? How can we discern what is truly God’s will for our lives compared to the curve balls that sometimes take us by surprise? From the time I was little, I’d planned my life in measured detail. I’d go to college, get married, become a writer, and have two boys and a girl—in that order. Then my husband and I would adopt. “God is going to give you the desires of your heart,” three separate ministers had told me on three separate occasions, and I believed them. Two weeks after graduating from college, I married my high school sweetheart, Dana. The day we returned from our honeymoon I landed a job as a reporter for a small Maine newspaper. Three years later, our son, Judah, was born. We welcomed our son, Gabriel, and daughter, Lydia, soon after. God had indeed given me the desires of my heart, with one exception. Over the years we’d been married, Dana and I had often talked of adoption. But he wasn’t sure we were ready. So, together we prayed, “Lord, if you have another child for us, you will have to bring that child to us.” We wouldn’t pursue it. Sometime later, I walked into a friend’s church for the last night of Vacation Bible School. Our boys had been coming all week. Judah, six, and Gabriel, four, darted through the packed sanctuary to join their classmates. Towing sixteen month Lydia through the crowd, Dana and I slid into a pew beside my friend Theresa. “Do you want to meet Ruth?” she asked. It took me a moment to remember the baby that Theresa and her family were hosting from an orphanage in Uganda. Ruth, who had cerebral palsy, was here for six months of physical therapy. Then she was scheduled to return to her orphanage, Welcome Home Africa, unless someone wanted to adopt her. Theresa had told me about her several weeks before. That night at church, people squeezed against the pews as Allen made his way up the crowded aisle. Then I saw the baby dangling from his arms. She was scrawny and limp and dressed in a shapeless pink onesie that sagged where a round tummy and chubby thighs should have stretched it tight. Dana was looking too. I couldn’t see his face, couldn’t tell what he was thinking. But my heart was doing flips. I couldn’t take my eyes off her. “This is Ruth.” Theresa beamed. “Want to hold her?” Allen dropped Ruth into Dana’s arms without waiting for a reply. Ruth’s head flopped against his shoulder. Tiny fingers curled into her palms, but she was smiling—a lopsided, baby-toothed “Here I am” smile that creased her cheeks and made her dark eyes gleam. Ruth’s head was fringed with a thin scrub of curls. Her skin was the color of gingerbread, and she was beautiful, stunning, with a high, rounded forehead and a fat little pucker of a nose. Dana wiggled a finger, holding it out for Ruth to grab. Instead, she wrinkled her nose and let out a deep “hee-hee-hee” that stiffened her entire body. For being so weak, Ruth’s happiness was contagious, and we laughed too. “Can she talk?” I asked. “It’s too early to tell.” Theresa shrugged. “Ruth only started therapy a couple of weeks ago. “Want a turn?” Dana held Ruth toward me. Dana slid Ruth into my arms. Her body was alternately stiff and then limp, as if someone had forgotten to tighten her muscles. Her right eye turned weakly toward her nose. Ruth’s head rolled forward and back, forward and back. A sudden urge to protect her overwhelmed me. Don’t say it, I thought, handing Ruth back to Dana. Don’t say a word. “Are you joking?” He had to be crazy. I had been praying and dreaming of this moment for decades, but not once had I imagined adopting a child with disabilities. The thought of spending the rest of our lives taking care of someone who might never be able to take care of herself scared me. Yet here Ruth was, smiling from the cradle of my husband’s arms. Was this God’s answer to our prayers? If so, it looked radically different from what I expected. Maybe you’ve faced a similar predicament. That long prayed for job or ministry opportunity lacks the outcome you imagined. Or that wonderful man you felt called to marry left you feeling lonely and disappointed. Or perhaps the path you felt God directing you to follow now seems barren and barred by obstacles. In such situations, our choice is to trust God and draw closer to him or to trust ourselves and potentially miss the fullness of his plans and blessings. That was the decision Dana and I faced after meeting Ruth. Trust God? Or trust ourselves? And how do we really know whether we are in step with God’s plan when it appears so different from what we expected? I was blessed to grow up with a God seeking, Bible-believing, Spirit filled mom who encouraged me to search out God’s plans for my life. Early on, I felt drawn to Africa and helping orphans. I also felt called to write, but I had no idea how God would bring these paths together. That part of the puzzle was God’s. Mine—and now Dana’s—was to rely on the Holy Spirit and walk in faith as we sought to discern that plan. Rather than impulsively leaping forward or fearfully turning back, we took seven crucial steps—one at a time. 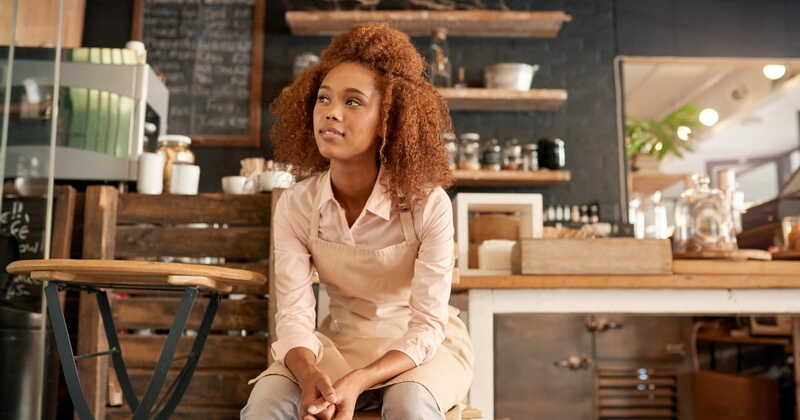 No matter what decision you are facing or what obstacles stand in your path, these seven steps will help you discern God’s will in difficult situations. 1. Recall what brought you here. For Dana and I, the idea of adopting wasn’t out of the blue. God had planted a love for orphans in my heart from childhood. While Dana’s experience was different, as soon as he held Ruth, God awakened that love in him in a clear answer to my previous prayer. When facing a decision that doesn’t look the way you expect, take time to reflect on whether this fits your passion and prayers. “For we are his workmanship, created in Christ Jesus for good works, which God prepared beforehand, so that we should walk in them,” Ephesians 2:10 says. Before you were even born, God created you with a passion and a purpose, and he will prepare you. 2. Set aside time to pray and seek God’s will rather than your own. Instead of giving in to fear and doubt, Dana and I set aside two months to pray while waiting to see whether another family would step forward to adopt Ruth. When none did, we took this as God’s leading to spend more time with Ruth and see what caring for her was like. To discern God’s will, designate a specific period of time to pray. “If any of you lacks wisdom, let him ask God, who gives to all men liberally without criticism, and it will be given to him,” says James 1:5. 3. Search for confirmation in God’s Word. While my emotions were all over the place—one moment excited, another moment scared at the possibility of adopting Ruth—God’s Word is unchanging. As Dana and I sought God’s will, he led us to Scriptures encouraging us to share with those in need, feed the hungry, and care for orphans. Clearly, adoption is in keeping with God’s desire. “Your word is a lamp to my feet and a light to my path,” Psalm 119:105. Use God’s word as a guide when seeking God’s purpose. Do your plans line up with his? Then proceed to the next step. Since neither Dana nor I knew much about cerebral palsy, we talked to our pediatrician. We also got to know several families with children who had cerebral palsy, asking them their experiences and learning about local programs for children with disabilities. And we talked to adoption agencies and lawyers to find out what steps adopting Ruth would require. “Where there is no counsel, the people fall; but in the multitude of counselors there is safety,” says Proverbs 11:14. While we don’t rely on man’s wisdom alone, God often uses people to increase our wisdom. These might be prayer warriors, ministry leaders, or others with experience in the area about which you are seeking to make a decision. If God was calling us to adopt Ruth, we knew he’d call our children as well. As we spent time with Ruth, we carefully observed our children’s reactions. Surprisingly, our children were Ruth’s biggest advocates, always encouraging her and cheering her on. “I ask you, brothers, by the name of our Lord Jesus Christ, that all speak in agreement and that there be no divisions among you. But be perfectly joined together in the same mind and in the same judgement,” I Corinthians 1:10 says. While we knew that adopting a child with disabilities would not be easy, we knew that God was guiding us together. 6. Rely on the Holy Spirit to reveal what your natural understanding cannot. Unknown to my mom, I was pregnant with our third child. An ultrasound later revealed only one baby. The following March, we joyously welcomed our daughter, little imagining what God had in store. More than a year later, as Dana held Ruth in church, I asked Theresa how old she was. Everything else faded—parents filling the pews, Lydia leaning against my knee, our children lining the front of the church. “When’s her birthday?” I asked. Two weeks after Lydia’s. It struck Dana the same way it struck me. “Twins?” he mouthed silently. 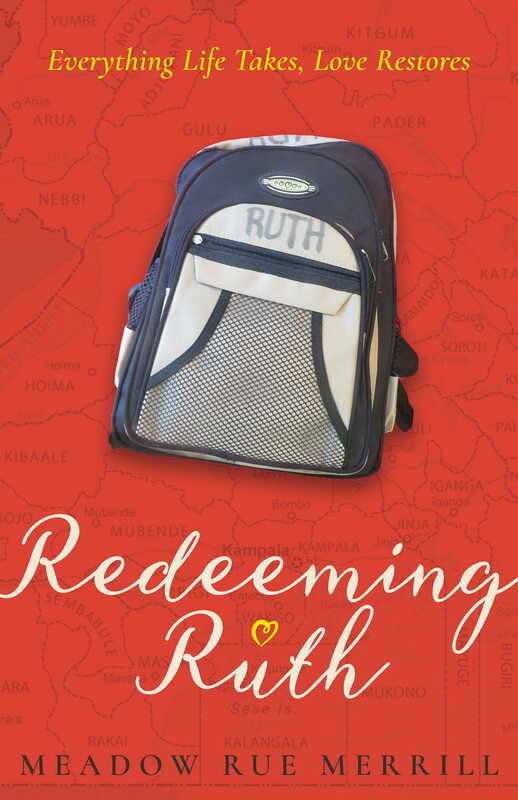 With the astonishing revelation of Ruth’s age, Dana and I felt emboldened to pursue God’s plan. Yes, we still walked through all the other steps of discernment, but we did so with greater confidence. All the other steps are pointless if we don’t follow up with action. To adopt Ruth, our family faced numerous hurdles. There was money to raise. Lawyers to hire. A whirlwind trip to plan to East Africa. Tests that would reveal further disabilities. But through it all, we kept walking faith, confident that adopting Ruth was indeed God’s plan. Along the way, God blessed us with a love for Ruth as deep as for our other children. Watching her learn and grow was a greater delight than we ever anticipated. Submitting to God’s will challenged us in ways we never expected and opened our hearts to other children with disabilities. And we almost missed it, all because Ruth wasn’t quite what we expected. So when God’s plans differ from what you expect, don’t despair. As you begin walking in faith, the path will become clearer—as will your blessings and the ability to see with greater clarity His hand and guidance through our difficult situations. Meadow Rue Merrill is an award-winning journalist and the author of the memoir, “Redeeming Ruth: Everything Life Takes, Love Restores,” which releases with Hendrickson Publishers in May 2017. She and Dana are the parents of six children and live in a little house in the big woods of midcoast Maine.You can contact Meadow at meadowrue@twc.com or sign up for her weekly blog, Faith Notes at www.meadowrue.com.